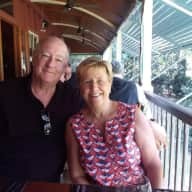 Retired, reliable, responsible couple seeking house/dog sitting. 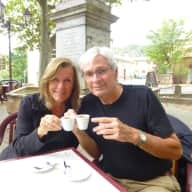 We are an active, non-smoking, retired couple whose two main interests over the past number of years have been travel and dogs. We have had our own dogs for twenty years and have looked after the dogs of other's. As you can see from the accompanying photos, we will walk our dog in any kind of weather (unfortunately, one of us drew the winter walking straw!). 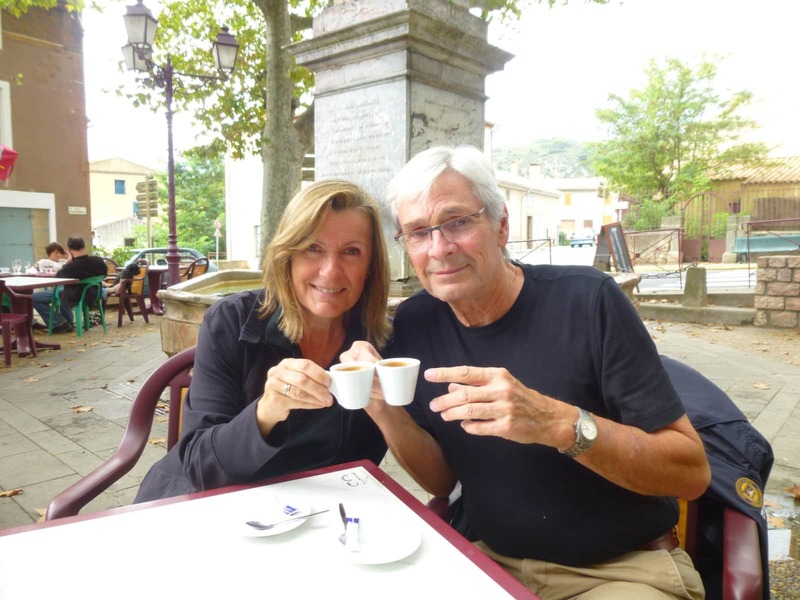 We both have the experience of living overseas so culture shock is not an issue for us. All of our dogs are constant, active companions we take on holidays (including, when possible, appropriate house/dogsits) or down to the corner store. When taking on a sitter (or occasional walker) for our dogs, our expectations are high and we look for a compassionate, understanding person who can bond with our dogs and comfortably, and respectfully, look after our house. We know that we can offer the same to you, to your dog and your home. 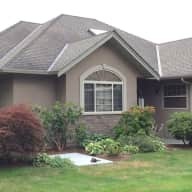 We have rented a number homes in our previous travels, but housesitting is that much better; the pleasure of being in a real home, with dogs and not paying rent! We really enjoy experiencing as much of the local communities we visit as possible. We are homeowners ourselves and look forward to enjoying someone else's home. Your house: years of homeownership has given us the experience needed to care for the homes of others. David's handyman knowledge and skills are good, but his artistry with a lawnmower is legendary. Lynn contributes financial and computer expertise-ish, and brings a special cooking wizardry to the kitchen. Your dog(s): we have owned, and fostered, a number of dogs, mostly Border Collies. We have also looked after friend's dogs in our home while the owners were away. Our dog experiences include training and/or competing in tracking, flyball, agility, reactive dog issues, human-dog leadership, basic obedience and Ralley-O. This has taught us consistency in training and a solid understanding of a dog's needs. Our most recent Border Collie was a rescue, who had been returned to her rescue organization three times before we took her in. She was with us for almost 8 years and became part of our family. Our current dog (Miniature Australian Shepherd or American Shepherd) is also a rescue and he too, was moved between three families before we found him. He is now a special part of our small family. All of our dogs receive basic agility exercise in our large yard and we always give them two brisk walks a day - good for them, good for us, good for our relationship with any of our dogs . We make every effort to keep our dogs active and stimulated. We look forward doing the same with your dogs. Second time for us using Trusted House Sitters and we are so happy! David and Lynn came all the way from Vancouver Island to stay in our home and look after our two dogs. From before we met (through Skype and e-mail) I knew they were great people and our dogs would be safe with them. I was not wrong and I believe our dogs were a bit disappointed to see us back home. They were cared for so well, exercised and loved. David communicated with us regularly whilst we were in Australia and sent pics and updates to reassure us all was well at home. Our house was immaculate on return and supper cooked for our first night home. I can't fault David and Lynn at all, this is the first time I have left my boys with a live in sitter and I was dubious to say the least, David's regular communication very quickly put me at ease with his dog knowledge and clear love for the canine breed. The house was left immaculate, and I came home to 2 very happy dogs, which was all I could have asked for. I would recommend them in a heart beat. My Springer Spaniel, Susie, has just had the very great pleasure of being looked after by two great house sitters, David and Lynn. She had lots of walks and plenty of affection. David and Lynn brought their dog Jock with them and Sue and Jock got on very well, playing ,wrestling and just hanging out together. I received emails and photos every few days and I could tell that all was going well. I highly recommend David and Lynn for your sitters - you will not be disappointed. David and Lynn very kindly looked after my 6 year 0ld Springer Spaniel for the second time while I was away recently. Susie usually droops when I bring my suitcase out and start packing - not again she thinks! But when David and Lynn arrived she recognized them immediately and greeted them as though they were well loved old friends. She obviously did not mind me leaving - here were 2 people she would enjoy spending time with again. David and Lynne looked after her and my house extremely well. Susie had her walks, play and affection and I had emails and photos to keep in touch. My house was immaculate when I arrived home and there was a bottle of wine and flowers waiting for me!! My highest recommendations go out for David and Lynne. I have known David and Lynn for about ten years. They are caring and compassionate both with humans and dogs! They both have quiet, gentle natures and wonderful senses of humour. They are extremely dedicated to whatever they do. Their home is beautiful, serene and calm. I would have no hesitation leaving my home and animals in their care. They are truly devoted dog owners and human friends. David and I met at the dog park in Vancouver close to twenty years ago. 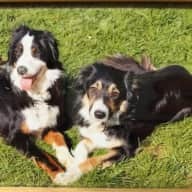 We both had very high energy, high arousal dogs who needed hours of exercise - Felix and Chester have both been gone for several years but certainly they will never be forgotten! Mornings and afternoons at the dog park formed the beginning of a lasting friendship with David and his wife Lynn. When the dogs were about a year old, David and I began attending dog training classes in Stanley Park with a company called Human Dog Leadership, these classes were run by an ecceentric Dane who believed in teaching all dogs tracking, nose work and obedience skills. He was WELL ahead of his time. We went to class and also practiced together on a regular basis. I threw myself headfirst into dog training and in the end emerged a dog trainer after apprenticing for a couple of years with two training schools in Vancouver. David and Lynn are kind, intelligent people with a great love for dogs. They are well educated in positive reinforcement training and truly enjoy dogs as individuals. Anyone who is fortunate enough to have them as house/dog sitters should feel 100% secure in the knowledge that their animals and house is being beautifully taken care of. I have known David and Lynn as their former dog walker and house/dog sitter. I have worked for them for 3 years and have really enjoyed it. They are a very kind, trustworthy, and responsible couple, who both share a love for dogs. Their house is always clean and tidy, but comfortable to stay in. As I have house sat for them before, I can ensure that they are organized and reliable. They are long-time, caring dog owners, and have owned multiple rescue dogs. 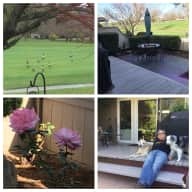 I have really enjoyed working with David and Lynn, and highly recommend them as a house and dog sitter. Some time ago my wife and I went on an extended trip of some three months. We didnt want to put our ten year old cat, Ted, in a kennel nor could we expect our neighbour to look out for him for that length of time. As well we were concerned about leaving our house and garden unattended for so long. So when our frend David Scholefield was, by chance, available to house and pet sit we were extremely pleased. And we were right to expect that our two most prized possessions would be in good hands and we could relax and enjoy our trip. On our return we found our house and garden probably cleaner and better organized than when we left them and Ted well loved and looking very pleased with himself. I would happily recommend David and Lynn (whom he has since met and married) to anyone considering someone to mind their house and pets. Both are responsible and fastidious people who take pride in what they do. I have known Lynn, David and their dogs for...well, dog years (ie: over 20 human years). All of their dogs have always been a big part of their family. Although my Lab/Chow mix wasn't as athletic as their two dogs, I attended many of their competitions in both Flyball and Agility. It was evident that both handler and dogs enjoyed this competitive experience. Both David and Lynn always demonstrated patience and leadership when handling their dogs in any activity. This was especially true when they turned their attention to training them in Tracking as their dogs became older and needed a less-active challenge. 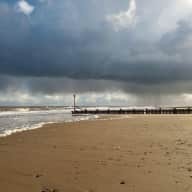 When I was on holiday I felt confident leaving my dog with them as I knew that the could deal with any dog-issues that might arise. My dog was easily included in their family and I have the pictures to prove it! When their city home became too small for all of them, they moved to a bigger property so that the dogs could get more exercise and work on their Agility skills. Thier current rescue Border Collie (a graduate of a Reactive Dog class and Ralley-O) enjoys the same house, which has undergone a major renovation and which both Lynn and David take real pride in. I highly recommend these two as both experienced dog people and responsible homeowners.